If you are using the free version of Spotify, then you are in a treat, as they unveil new features for free users. Before, songs are played randomly in the free version of the app within a playlist. If you want to hear a specific song, you have to skip over and over other songs until the desired song is finally played. This is a big disadvantage compared to the premium version. This restriction is at least partially gone, as Spotify provides each user with 15 playlists that they can control freely. If you use the browser or desktop version of Spotify without a subscription, you can play songs for a long time directly. With these personalized playlists, Spotify can learn the music preferences of the free user better over time and always offer fresh songs, a feature only available to premium subscribers before. 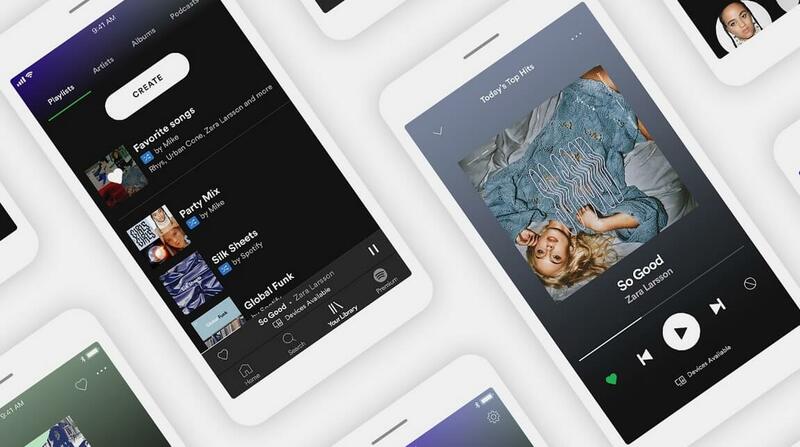 The new version of the Spotify app for free users also includes a data saving function, which can minimize the amount of data consumed by streaming. With the changes, Spotify will also become more open and attractive to non-paying users. According to Spotify, the number of free users is around 85 million, with another 71 million paying monthly for the music streaming service. Nothing changes for these premium users.